If you’re in search of a good business to put up, forget the usual restaurant or retail shop, a venture that has steadily been a good investment is the funeral home business. Aside from people’s constant need for nourishment and other items, it is an undeniable fact that people pass away everyday, thus, the constant need for grieving families and friends to provide an avenue to pay respects to their demised loved ones. Try to get an overview of how the funeral business operates. There are tons of resources at your disposal so be sure to make use of it. Reading up on the subject will give you a clearer picture of what works and what doesn’t. Find out the necessary legal papers you must procure to operate a funeral home. Try and asses your finances and find out how much you need to shell out as start up capital. Study your market and find out who your primary clients are. Your services must be geared towards their needs. Figure out what your competitive advantage is over the other players. 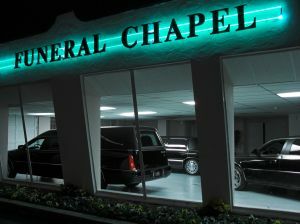 More often than not, people are inclined to select a funeral home that is close by and easily accessible. A general price list is compulsory. Although package pricing is allowed, it is recommended to have an itemized price list for all the services and products offered. Try to develop a price list that is both workable and competitive.